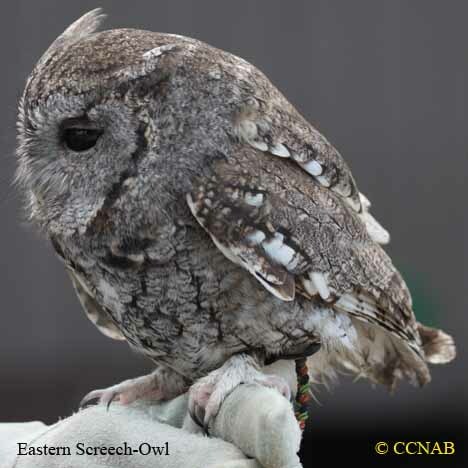 The Eastern Screech-Owl and the Western Screech-Owl are very similar in looks, it is their call that distinguishes the two birds apart. 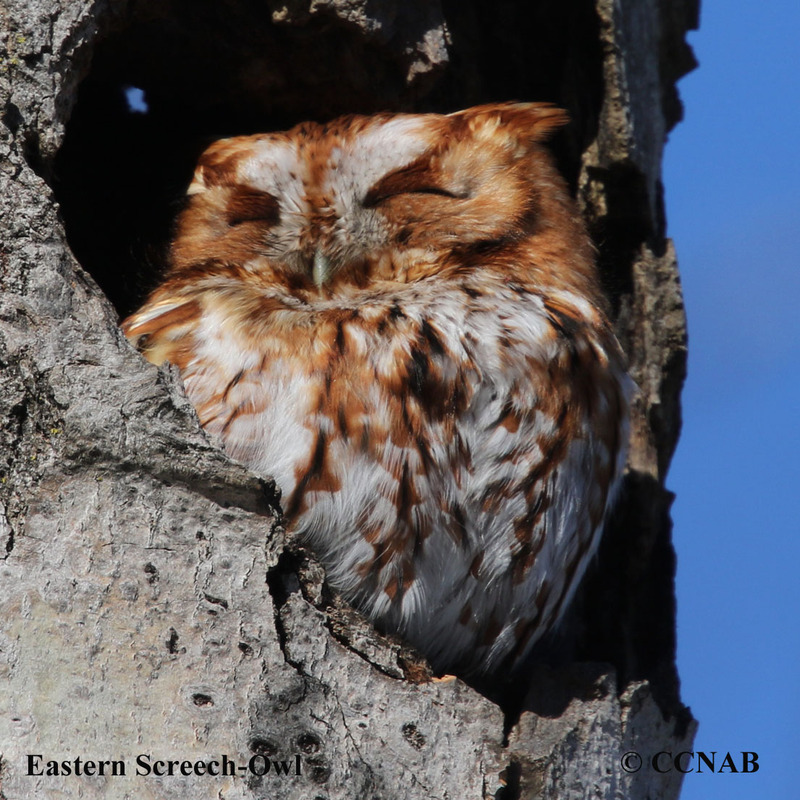 This small owl seeks daytime protection by hiding in the cavities of trees. 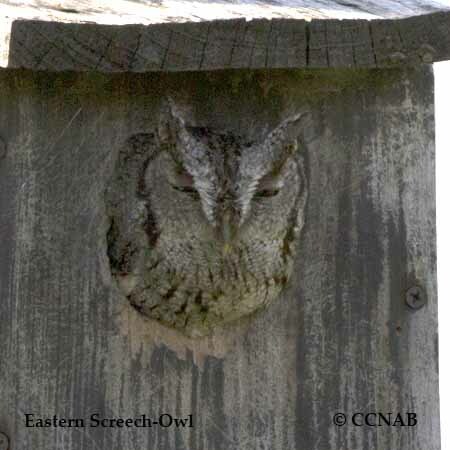 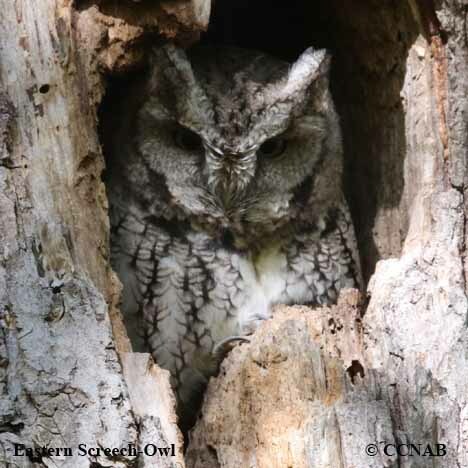 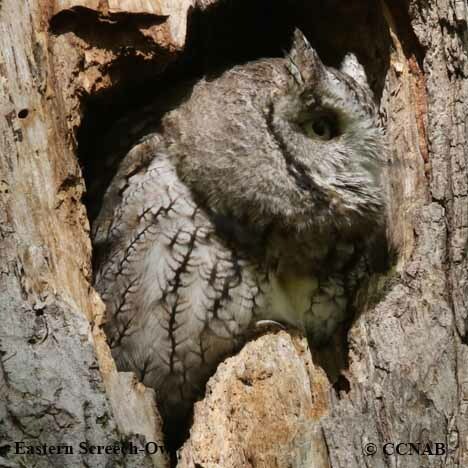 It readily adapts to screech-owl nesting boxes, and is a common sight to see one using a Wood Duck's nesting box.